Sri Aurobindo (Aug. 15, 1872 - Dec. 5, 1950) (born "Aurobindo Akroyd Ghose") was an Indian nationalist, Hindu philosopher, yogi, and poet. He began his career in the Indian nationalist movement to gain freedom from British rule. Shortly thereafter, Aurobindo left politics to pursue a spiritual life. The context of Sri Aurobindo's spiritual endeavors was an India where new Western philosophies—communism, Nietzschean individualism and Freudian sexual hermeneutics—were fashionable and fermenting confusion among India’s elite. Aurobindo attempted to reconcile these Western ideas with the sublime teachings of Indian philosophy. He developed a teaching known as Integral Yoga, which combined the Hindu yoga paths of knowledge, devotion, and karma. He also developed a theory of evolution and involution, processes by which human beings can evolve into a superior state of being. Thus, his teachings created a synthesis of ancient Indian wisdom and contemporary Western ideas. He founded an ashram in Pondicherry, the International Center of Education, which still exists today. His followers still revere him as an avatar (descent of the Absolute). His closest collaborator was Mirra Richard, known as "The Mother," who became the leader of Aurobindo’s community after he died. Aurobindo taught that that reverence for the feminine is central to salvation, and that the feminine side of religion must not be neglected. Aurobindo represents an effort to forge greater unification and synthesis between East and West. His early life was spent working for the freedom of India, and his later life was devoted to working for the freedom of the human soul. Aurobindo Ghose was born in Kolkata in 1872. His father was Dr. Krishna Dhan Ghose and his mother Swarnalata Devi. Dr Ghose, who had lived in Britain, and had studied at Aberdeen University, was determined that his children should have a completely European upbringing first sent Aurobindo and his siblings to the Loreto Convent School at Darjeeling. At the age of seven Aurobindo was taken along with his two elder brothers, Manmohan and Benoybhusan, to England. There, they were placed with a clergyman and his wife, a Mr. and Mrs. Drewett, at Manchester. Mr. and Mrs. Drewett tutored Aurobindo privately. Mr Drewett, himself a capable scholar, grounded Aurobindo so well in Latin that Aurobindo was able to gain admission into Saint Paul's School in London. At Saint Paul's Aurobindo mastered Greek and excelled at Latin. The last three years at Saint Paul's were spent in reading, especially English Poetry. At Saint Paul's he received the Butterworth Prize for literature, the Bedford Prize for history, and a scholarship to King's College, Cambridge University. He returned to India in 1893. He later attended Cambridge University, studying classics, poetry, and language. During this time, Aurobindo joined a secret society, called ‘Lotus and Dagger’, dedicated to obtaining Indian freedom from British rule. Although the society was short-lived, this experience led Aurobindo to believe that Indian freedom from Britain was imminent, and that he should return to India to be part of the nationalist movement. Upon returning to India in 1893, Aurobindo worked as a professor of English and French at Baroda State College. He began to write articles for a daily newspaper which encouraged Indians to work toward freedom, stating that the true enemy was not the British, but the weak resolve of the Indian people. During this period, Aurobindo took an interest in aspects of Indian culture that had eluded him during his childhood in Britain. He studied yoga, and mastered several Indian languages. In 1906, he accepted presidency of the new National College, which reflected his own political values. Soon, he was identified as a national leader in the Indian freedom movement. During the First Partition of Bengal from 1905 to 1912, he became a leader of the group of Indian nationalists known as the Extremists for their willingness to use violence and advocate outright independence, a plank more moderate nationalists had shied away from up to that point. He was one of the founders of Jugantar party, an underground revolutionary outfit. He was the editor of a nationalist Bengali newspaper Vande Mataram (spelled and pronounced as Bônde Matôrom in the Bengali language) and came into frequent confrontation with the British Raj as a result. In 1907 he attended a convention of Indian nationalists where he was seen as the new leader of the movement. However, his life was beginning to take a new direction. In Baroda he met a Maharashtrian yogi called Vishnu Bhaskar Lele who convinced him to explore the ancient Hindu practices of yoga. Aurobindo’s interest in yoga steadily increased, and he began to study with renowned guru Yogi Vishnu Bhaskar Lele. Thereafter, it is said that he experienced a change of consciousness, which he described as an overwhelming feeling of silence, peace, and freedom. Following this spiritual experience, an Indian revolutionary detonated a homemade bomb killing two women in the British magistrate’s carriage. On May 4, 1908, Aurobindo was arrested for his alleged involvement in this incident. Though eventually acquitted, he remained in prison for one year during the investigation of the crime. Aurobindo later stated that his imprisonment initially led him to question God, but eventually, he heard a voice which told him that his experiences in prison would help him with his future work in a different area. During his incarceration, it is said that Aurobindo had another spiritual experience, in which he could see the divinity in all those around him, including thieves and murderers. Aurobindo began to conceptualize divinity as more than an incomprehensible ultimate reality, but a force that represents the goodness in all beings. While in jail, Sri Aurobindo claimed to be visited, in his meditation, by the renowned Swami Vivekananda, a Hindu philosopher of great importance to Advaita Vedanta. 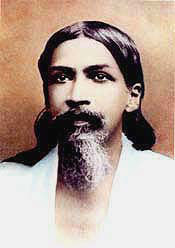 The swami guided Sri Aurobindo's yoga and helped him to scale great heights. It was there Sri Aurobindo saw the convicts, jailers, policemen, the prison bars, the trees, the judge, the lawyer etc., in the experience and realization of Vasudeva, a form of Vishnu. Sri Aurobindo was even able to see compassion, honesty, and charity in the hearts of murderers. The trial for which he was incarcerated was one of the most important trials in Indian nationalism movement. There were 49 accused and 206 witnesses. 400 documents were filed and 5000 exhibits were produced including bombs, revolvers and acid. The English judge, C.B. Beechcroft, had been a student with Sri Aurobindo at Cambridge. The Chief Prosecutor Eardley Norton displayed a loaded revolver on his briefcase during the trial. The case for Sri Aurobindo was taken up by Chittaranjan Das. Chittaranjan Das, in his conclusion to the Judge, said: "My appeal to you is this, that long after the controversy will be hushed in silence, long after this turmoil, this agitation will have ceased, long after he (Sri Aurobindo) is dead and gone, he will be looked upon as the poet of patriotism, as the prophet of nationalism and lover of humanity. Long after he is dead and gone, his words will be echoed and re-echoed, not only in India, but across distant seas and lands. Therefore, I say that the man in his position is not only standing before the bar of this Court, but before the bar of the High Court of History." The trial ("Alipore Bomb Case, 1908") lasted for one full year. Aurobindo was acquitted. After his year in prison, Aurobindo joined the revolutionaries once more. He began two weekly newspapers, Dharma (in Bengali) and Karmayogin (in English). However, it appeared that the British government would not tolerate his nationalist program as Lord Minto wrote about him: "I can only repeat that he is the most dangerous man we have to reckon with." In 1910, a staff member at Karmayogin reported that the police were on their way to arrest him for his involvement in revolutionary activities. Sri Aurobindo fled to Chandernagore, and eventually settled in Pondicherry, a French colony outside British jurisdiction. Upon arrival in Pondicherry, Aurobindo decided to leave politics and focus on spirituality. Retrospectively, he stated that this decision was not driven by a sense of hopelessness concerning the freedom movement, but instead he felt that others could successfully lead the movement without his help. During his stay in Pondicherry, Aurobindo had a third great spiritual experience. He had a vision of the Divine as being both static and dynamic, as a supreme, formless reality and as a being which can take many forms. He reported feeling a sense of ascencion from a dark existence into an abode pervaded with supreme light. In 1914, Paul and Mirra Richard, a French couple, came to Pondicherry and studied with Aurobindo. Together, they worked to develop a philosophy which combined knowledge from various religious traditions, and which provided an intellectual approach to intuitive experiences. After returning to France during World War 1, Mirra (later referred to as the "Mother" by her disciples) returned to India in 1920. With Mirra’s help, Aurobindo established an ashram. Eventually, Mirra began to oversee the activities of the ashram, and Aurobindo withdrew into seclusion to focus on his own spiritual endeavors. He spent the last 24 years of his life trying to prepare himself to experience the kingdom of heaven on earth. During this period, Aurobindo wrote many books and poems, including his most famous work, The Life Divine, as well as Savitri, an epic poem, and commentary on the Bhagavad Gita. In 1926, he had another great spiritual experience which led him to the conclusion that experiencing enlightenment is preceded by separating oneself from the ego, and by replacing the idea of ‘self’ with a universal perspective. Thus, the idea of a ‘self’ should expand to encompass all other beings. Aurobindo believed that this process occurs by the evolution of the ordinary mind into what he called a ‘Supermind’. On August 15, 1947, India attained freedom from British rule, and Aurobindo gave a rare public message. He expressed happiness, and hoped that the future would bring unity to India and that India would share its spiritual gifts with the world. On December 5, 1950, Sri Aurobindo passed away. However, his funeral was delayed for four days because according to disciples, his body appeared to be concentrated with light, and showed no sign of decomposition. On December 9, the light departed, and a funeral took place. His closest collaborator in his yoga, Mirra Richard (née Alfassa), was known as The Mother. She was born in Paris on February 21, 1878, to Turkish and Egyptian parents. Involved in the cultural and spiritual life of Paris, she counted among her friends Alexandra David-Neel. She went to Pondicherry on March 29, 1914, finally settling there in 1920. Sri Aurobindo considered her his equal and because of her astuteness as an organizer, left it to her to plan, run and build the growing ashram. After November 24, 1926, when Sri Aurobindo retired into seclusion, she supervised the organization of the ashram, the Sri Aurobindo International Centre of Education (which, with its pilot experiments in the field of education, very much impressed observers like Jawaharlal Nehru), and later institutes like Auroville, the international township near the town of Pondicherry. She became the leader of the community after Sri Aurobindo died; she is revered by followers of Sri Aurobindo as well. Executing the mandate she received from her Guru, she did not leave Pondicherry till her last breath on November 17, 1973. She was to play an active role in the merger of the French pockets in India and, according to Sri Aurobindo's wish, to make of Pondicherry a seat of cultural exchange between India and France. The Mother's attempts to bring the new consciousness into life and her personal effort of physical transformation of her own body are described in the 13-volume series of books known as "The Agenda." Aurobindo developed a system of spirituality known as "Integral yoga." Integral yoga combined earlier Hindu yogic paths of bhakti (worship), jnana (knowledge), and karma (action) of the Bhagavad Gita. It is also called "Integral" because it embodies and integrates all aspects of life. Of these three, bhakti is central, and in keeping with the Hindu tradition of the Divine Mother, Sri Aurobindo advised his disciples to consecrate every action to the Mother, and surrender to Her and the Divine Force expressed through Her. Aurobindo described yoga as consisting of three essential movements: Aspiration for the Divine in one's life, Rejection of all wanting elements of the individual person (physical, vital, and mental), and Surrender to the Divine Spirit and Force through the Divine Mother. This process of transformation is three-fold. The individual moves upward (along a vertical scale) in his consciousness, centering more at the mental and then the spiritually oriented levels of mind, as well as moving inward (in the horizontal scale) to the soul. The more he moves inward, the further upward he moves, and the more each of the existing planes in the vertical scale (physical, vital, mental) are perfected. Aurobindo developed a theory of evolution and involution, outlining a path of spiritual progress. Unlike Charles Darwin’s evolutionary model, Aurobindo did not focus on the physical evolution of beings from micro-organisms to humans. Instead, he focused on a spiritual evolution, from existence pervaded with a material nature to existence pervaded with a spiritual nature. He taught that humanity can evolve beyond its current state to become a perfect expression of Brahman. According to Aurobindo, spirituality encourages the ascent of Matter into Spirit. However, this evolution is not possible without the descent of Spirit into Matter, or involution. He taught that both Spirit and Matter are real parts of ultimate reality (Brahman), and therefore, denying the existence of Matter is essentially denying an aspect of Brahman. He taught that Brahman exists both above the universe and within it. Aurobindo outlined eight states through which beings evolve: Matter, Life, Psyche, Mind, Supermind, Bliss, Conscious Force, and Existence. Matter, Life, Psyche, and Mind constitute the lower realms of existence, in which the regular mind exists. Supermind, Bliss, Conscious Force, and Existence constitute the higher realm of existence, in which the mind is overtaken with the Supermind. When the Supermind presides, the individual gains divine power, and obtains the ability to expand their definition of a ‘self’ to encompass others. A complete evolution through the eight stages does not necessarily involve a severance from the body, but a complete transformation of the mind. Aurobindo believed that a veil of ignorance exists which prevents the Mind from evolving into the Supermind. Only the Divine can remove the veil, but yoga practice can help facilitate this process. Aurobindo believed that it is possible the Divine may come to remove the veil of ignorance, but if a person is not prepared, they may miss their chance to evolve from the Mind to the Supermind. To avoid this, the practice of Integral yoga can help to prepare humankind for ascent into Supermind. Practicing Integral yoga provides a greater sense of readiness for ascent into the higher realm of existence. The process of the universe emerging from the Absolute is referred in The Life Divine as involution. The subsequent process of life emerging from matter and mind from life is evolution. Evolution is described as a dual movement; inward, away from the surface consciousness and into the depths, culminating in the Psychic Being (the personal evolving soul); and then upward to higher levels of spiritual mind (Higher Mind, Illumined Mind, Intuitive Mind, and Overmind), culminating in the final stage of supramentalization. In 1914 after four years of concentrated yoga at Pondicherry, Sri Aurobindo launched Arya, a 64-page monthly review. For the next six and a half years this became the vehicle for the majority of his most important writings, which appeared in serialised form. These included The Life Divine, The Synthesis of Yoga, Essays on The Gita, The Secret of The Veda, Hymns to the Mystic Fire, The Upanishads, The Foundations of Indian Culture, War and Self-determination, The Human Cycle, The Ideal of Human Unity, and The Future Poetry. Sri Aurobindo however revised some of these works before they were published in book form. He also wrote a very small book entitled The Mother, which was first published in 1928. It provided instructions for the spiritual aspirant of "Integral Yoga." In this book Aurobindo wrote about the conditions to be fulfilled by the aspirant ("Sadhaka") for receiving the Grace of the Divine Mother. In addition to this prolific output, Sri Aurobindo also wrote an epic poem titled, Savitri, which he continued to revise for the rest of his life. Following his retirement from public life in 1926, he maintained a voluminous correspondence with his disciples. His letters, most of which were written in the 1930s, numbered in the several thousands, and some of these were later published in three volumes as Letters on Yoga. Although Sri Aurobindo wrote most of his material in English, his major works were later translated into a number of languages, including the Indian languages Hindi, Bengali, Oriya, Gujarati, Marathi, Sanskrit, Tamil, Telugu, Kannada, and Malayalam, as well as French, German, Italian, Dutch, Spanish, Chinese, Portuguese, Slovene and Russian. Sri Aurobindo has had a significant impact on Eastern and Western thought. The incorporation of evolutionary ideas into Hindu philosophy provided Hinduism with an infusion of modernity. One of Sri Aurobindo's main contributions to Indian philosophy was to introduce the concept of evolution into Vedantic thought. Samkhya philosophy had already proposed such a notion centuries earlier, but Aurobindo rejected the materialistic tendencies of both Darwinism and Samkhya, and proposed an evolution of spirit rather than matter. He rejected the Hindu doctrine of Maya (the illusionary world) found in Advaita Vedanta, and suggested a linkage between the ineffable Brahman or Absolute and the world of multiplicity by positing a transitional hypostasis between the two, which he called "The Supermind." The supermind is the active principle present in the transcendent Satchidananda; a unitary mind of which our individual minds and bodies are minuscule subdivisions. In addition, Sri Aurobindo's ideas about the further evolution of human capabilities influenced the thinking of Michael Murphy (who stayed at Sri Aurobindo's Ashram in India for eighteen months) – and indirectly, the human potential movement, through Murphy's writings. The American philosopher Ken Wilber was also influenced by Aurobindo, as was cultural historian William Irwin Thompson. Sri Aurobindo taught that people can be enlightened while enjoying the World, by following all the main Yogas - Gyan, Bhakti, Karma, Tantra - integrated together as one philosophy, which he called Purna or Integral Yoga. Thus, Aurobindo's later years represent an effort to forge greater unification and synthesis between East and West. Kant's sublime, Hegel's absolute, Schopenhauer's will, Kierkegaard's passion, Marx's matter, Darwin's evolution, Nietzsche's overman, Bergson's élan vital, all find their due representation in Sri Aurobindo's grand exposition. His thought successfully overarches cultural as well as religious chasms. S. K. Maitra and Haridas Chaudhuri were first among the academicians to discern the import of Sri Aurobindo's integral philosophy. D.P. Chattopadhyay wrote a seminal treatise juxtaposing Sri Aurobindo and Marx to examine their utopian prophecies. Ghose, Aurobindo. 1987. The Life Divine. (5th ed.). Pondicherry: Sri Aurobindo Ashram. ISBN 8170580048. Maitra, S. K. 1986. An Introduction to the Philosophy of Sri Aurobindo. Pondicherry: Sri Aurobindo Ashram. Ghose, Aurobindo. 1954. Savitri. Pondicherry: Sri Aurobindo Ashram. Ghose, Aurobindo. 1956. Poems from Bengali. Pondicherry: Sri Aurobindo Ashram. Satprem. 1968. Sri Aurobindo, or the Adventure of Consciousness. Ponicherry, India: Sri Aurobindo Ashram Press. Exposition of the philosophy of Sri Aurobindo and the techniques of Integral Yoga. This page was last modified on 29 November 2012, at 22:26.